Burundi is a landlocked, resource-poor country with an underdeveloped manufacturing sector. The economy is predominantly agricultural; agriculture accounts for just over 30% of GDP and employs more than 90% of the population. Burundi's primary exports are coffee and tea, which account for 90% of foreign exchange earnings, though exports are a relatively small share of GDP. Traditional huts were made from reeds and canes. The tradition has given way in rural areas to houses of mud brick with thatched or tin roofs. Some are cylindrical in shape, and the mud walls may be whitewashed. In towns, houses built of hollow concrete blocks with galvanized iron or clay tile roofs are common. 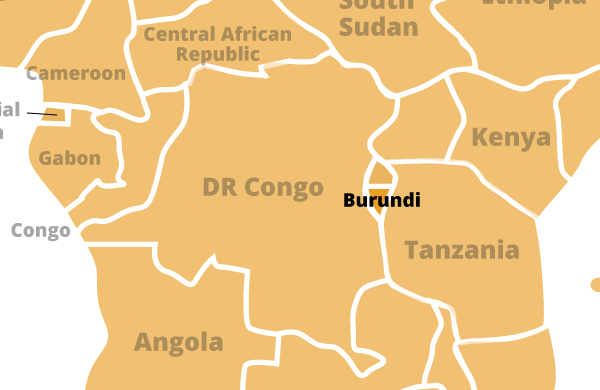 Warfare has greatly affected living conditions in Burundi. People have been killed, homes have been burned, and cattle have been destroyed. Great numbers of people have become homeless.